The Attorney-General, Aiyaz Sayed-Khaiyum says netball is a sport which brings out solidarity amongst communities. 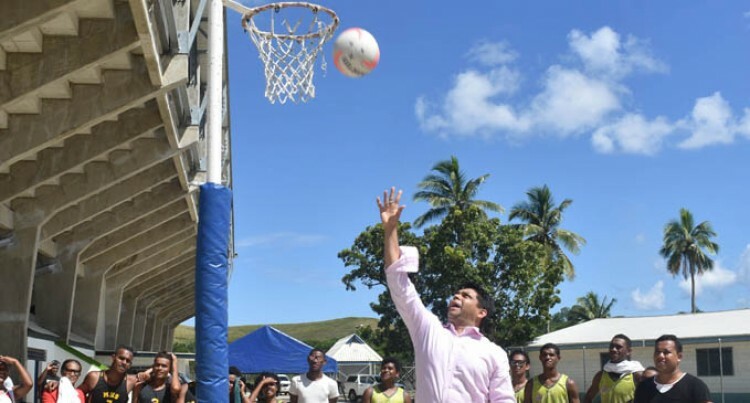 He made the comment while speak­ing at the opening of the Nadroga Mix and Men Netball Competition at Lawaqa Park, Sigatoka yesterday. Sayed-Khaiyum was accompanied by his wife, Ella. Sports, he added, was very much part of our culture whether it is at the international, domestic, provin­cial or district level. He thanked the Nadroga Men and Mix Netball Association and wished them well. He also called on participants to think of all those people in Nadroga who were affected in the recent trop­ical cyclone. “I visited the people up in the val­ley a few weeks ago, many of the farms and subsistence crops were damaged. Let’s think about them and help them too,” he said. He also made a financial donation to the association. Street Queen Roses aim to defend the Nadroga Mix and Men Netball Competition title this year. Coach Vusaki Uluwalu said more teams have joined and competition would be tough. “But we need to come out stronger to defend our title,”Uluwalu said. “The majority of our members are unemployed and I’m the only one supporting the team. The team defeated Seniwi 20-16 in their first match yesterday and they will face Seniwi again in their sec­ond round next week. Seniwi captain Taqele Nayaravou said they have been preparing for six months and are looking forward to the game next week.